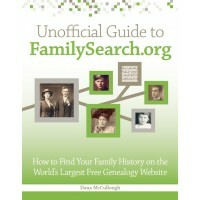 Home › Genealogy/Family History › Uploading Content to FamilySearch.org: What Happens to It? Uploading Content to FamilySearch.org: What Happens to It? When you upload a photo, document, story, audio file, or ancestor information to FamilySearch.org, you agree to FamilySearch’s Content Submission Agreement. You also agree that you have the appropriate copyright and/or permission to submit a photo, document, or audio recording. Any photos, documents, or audio you upload or stories you add are made publicly viewable by anyone online. FamilySearch does allow you to remove photos or documents you’ve contributed, but others could have already copied and posted your photos in their trees or for their own use, and FamilySearch is not obligated to remove links or references to your deleted content. Essentially, you are giving FamilySearch the materials to use in any way it wants, without limitation. That means the photos, stories, documents, and other information you provide could become part of an advertisement or brochure, or part of product that FamilySearch may sell at a later date, or it may remain linked to on the site forever.